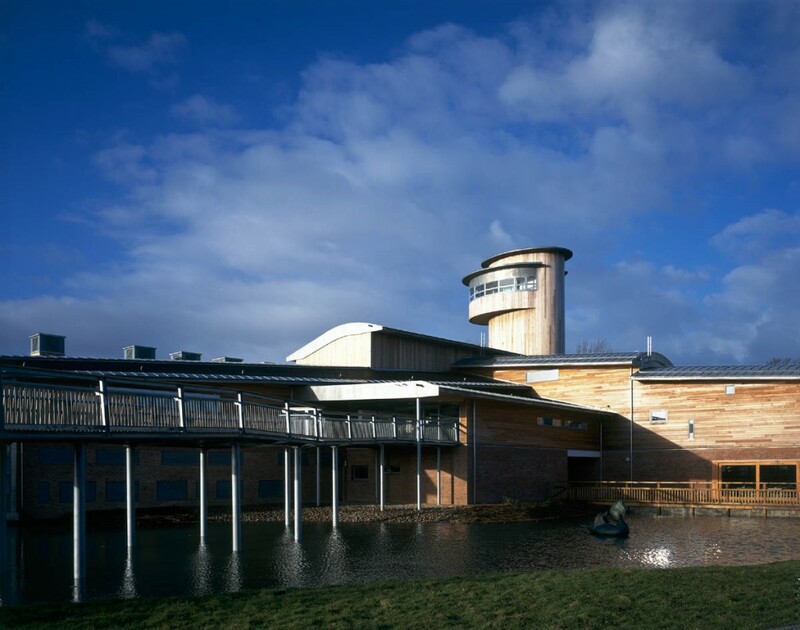 The Slimbridge 2000 Centre was part funded by the Millennium Commission. 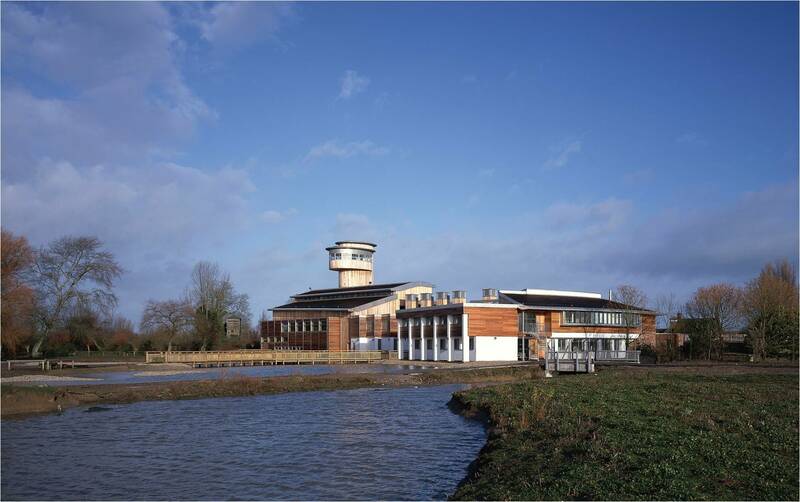 It consists of a collection of new visitor facilities at the Slimbridge headquarters of the Wildfowl and Wetlands Trust in Gloucestershire. 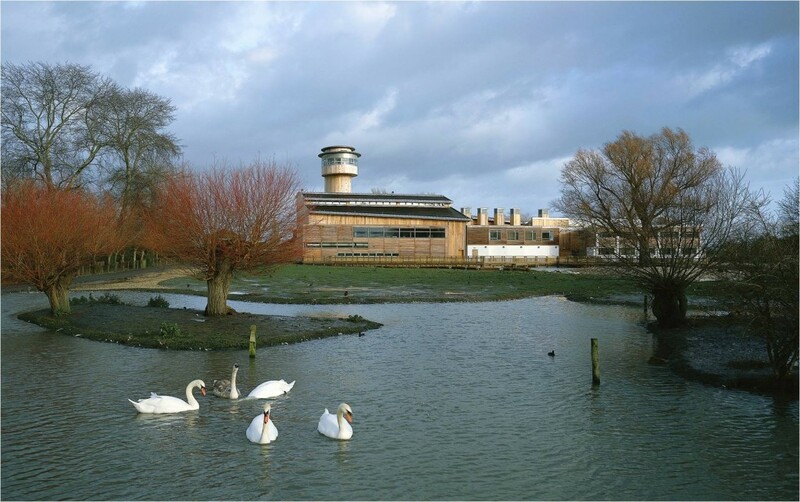 The new facilities include interactive and temporary exhibition areas, a bird observation tower, a new shop and restaurant, offices, laboratories, studios, classrooms, a new administration building and houses for staff. 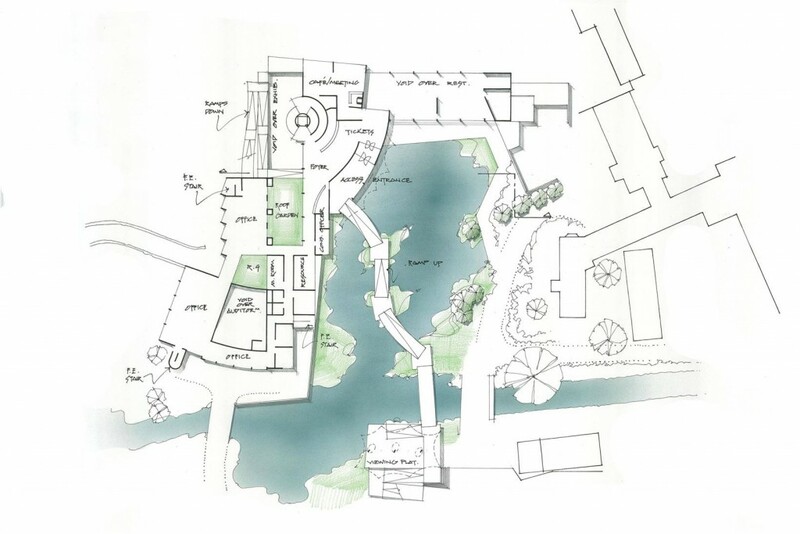 These are set in extensive new landscaping works including water features and reed beds for recycling. The centre receives 300,000 visitors per annum. 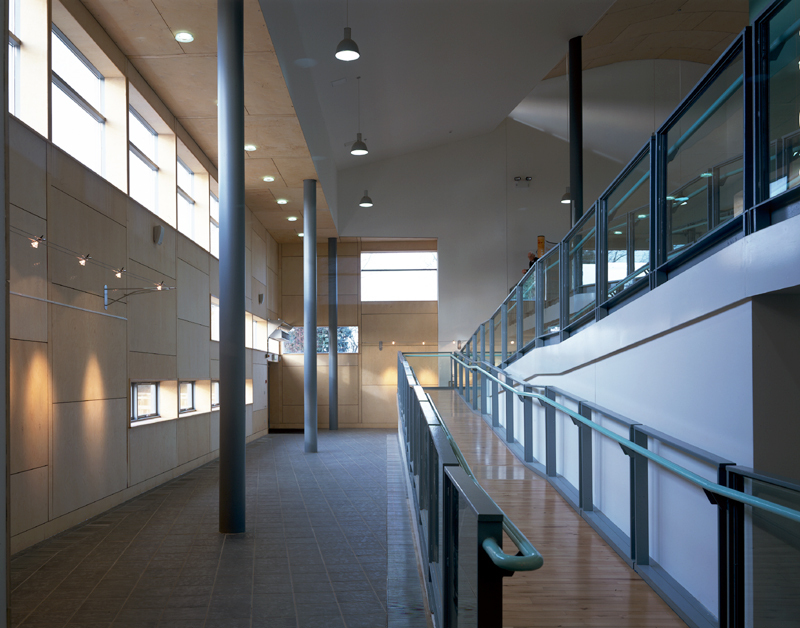 Winner: Civic Trust Award; Winner: Wycliffe Shield Award.